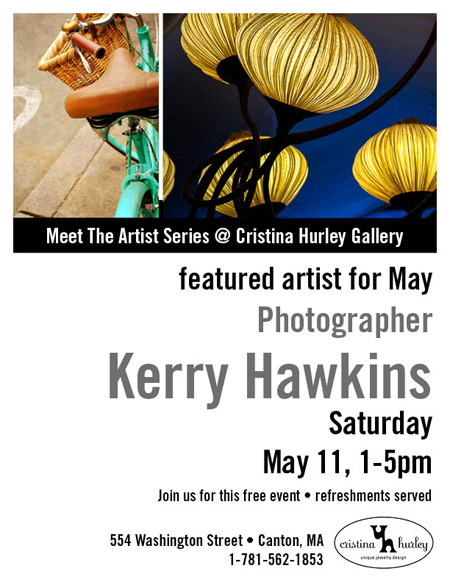 Join Photographer, Kerry Hawkins and Cristina Hurley for this free event at Cristina's Gallery in Canton Center. Kerry will feature new work from her photowalks in the Boston area and from her travels. Kerry is a member of Boston Handmade. She is also a founding member of Dedham Square Artist Guild in Dedham Square.